Grapes: An enticing blend of five Mediterranean grape varieties, all grown on vineyards located near the ancient village of Roccatederighi nestled in the hills of the Maremma region. General: Kepos inspiration was drawn the wish of the three friends - Elisabetta, Giovanni and Thomas - to offer a different and further interpretation of the territory, a refined wine able to express the unmistakable and unique Ampeleia style. It is the result of a careful and meticulous grape selection of determinant vineyard parcels located in lower and central Ampeleia. A wine for immediate drinking pleasure displaying aromas of Mediterranean maquis with hints of spices, flowers and fruit. Delicate and immediate fragrances enhancing the complex, intriguing and exciting personality of Ampeleia. 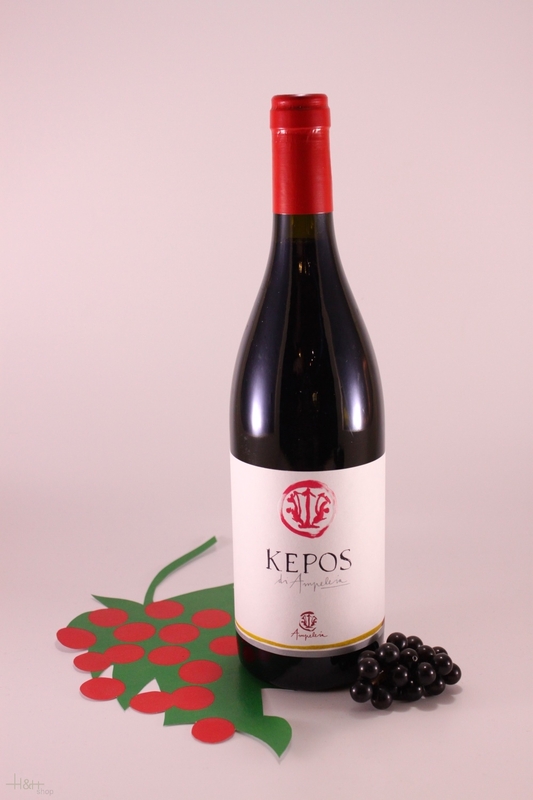 "Wine Spectator" has rated the wine "Ampeleia 'Kepos' Rosso Costa Toscana IGT, Tuscany, Italy" from the vintage 2013 on 29.02.2016 with 92 of 100 points. "Vinous Antonio Galloni" has rated the wine "Ampeleia 'Kepos' Rosso Costa Toscana IGT, Tuscany, Italy" from the vintage 2013 on 01.10.2015 with 90 of 100 points. "Wine Spectator" has rated the wine "Ampeleia 'Kepos' Rosso Costa Toscana IGT, Tuscany, Italy" from the vintage 2012 on 31.08.2015 with 91 of 100 points. "Wine Spectator" has rated the wine "Ampeleia 'Kepos' Rosso Costa Toscana IGT, Tuscany, Italy" from the vintage 2010 on 31.10.2012 with 89 of 100 points. "Vinous Antonio Galloni" has rated the wine "Ampeleia 'Kepos' Rosso Costa Toscana IGT, Tuscany, Italy" from the vintage 2010 on 01.06.2012 with 92 of 100 points. "Vinous Antonio Galloni" has rated the wine "Ampeleia 'Kepos' Rosso Costa Toscana IGT, Tuscany, Italy" from the vintage 2008 on 01.08.2011 with 88 of 100 points. "Wine Spectator" has rated the wine "Ampeleia 'Kepos' Rosso Costa Toscana IGT, Tuscany, Italy" from the vintage 2007 on 31.10.2009 with 90 of 100 points. "Wine Spectator" has rated the wine "Ampeleia 'Kepos' Rosso Costa Toscana IGT, Tuscany, Italy" from the vintage 2006 on 15.10.2008 with 90 of 100 points. "Stephen Tanzer" has rated the wine "Ampeleia 'Kepos' Rosso Costa Toscana IGT, Tuscany, Italy" from the vintage 2008 with 90 of 100 points. "Stephen Tanzer" has rated the wine "Ampeleia 'Kepos' Rosso Costa Toscana IGT, Tuscany, Italy" from the vintage 2010 with 90 of 100 points. "CellarTracker" has rated the wine "Ampeleia 'Kepos' Rosso Costa Toscana IGT, Tuscany, Italy" from the vintage 2013 with 89 of 100 points. 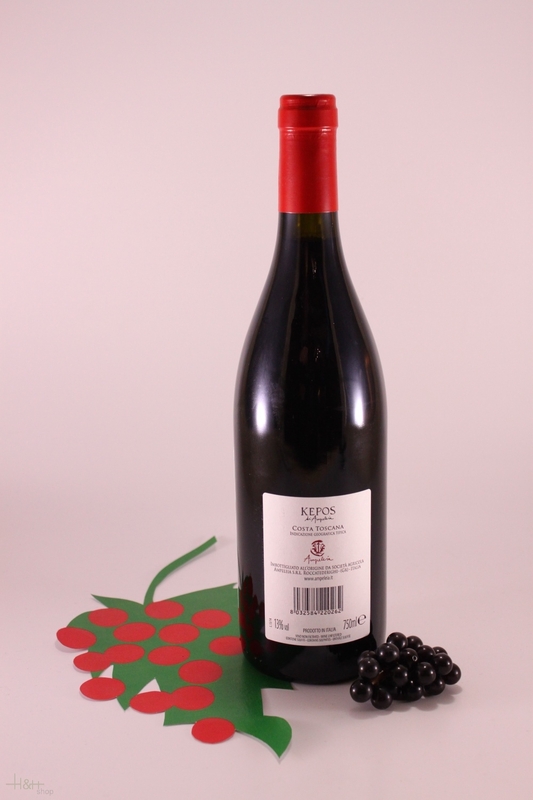 "CellarTracker" has rated the wine "Ampeleia 'Kepos' Rosso Costa Toscana IGT, Tuscany, Italy" from the vintage 2008 with 88 of 100 points. "CellarTracker" has rated the wine "Ampeleia 'Kepos' Rosso Costa Toscana IGT, Tuscany, Italy" from the vintage 2006 with 88 of 100 points. "CellarTracker" has rated the wine "Ampeleia 'Kepos' Rosso Costa Toscana IGT, Tuscany, Italy" from the vintage 2010 with 88 of 100 points. "CellarTracker" has rated the wine "Ampeleia 'Kepos' Rosso Costa Toscana IGT, Tuscany, Italy" from the vintage 2011 with 88 of 100 points. "CellarTracker" has rated the wine "Ampeleia 'Kepos' Rosso Costa Toscana IGT, Tuscany, Italy" from the vintage 2012 with 88 of 100 points.